From time to time, I meet with people who work in big companies, and thought the achievement of the company in the past are their own. That is pretty funny. As a CEO, there are many news things that people in other roles don’t think of. And of cause, as a CEO, there are many things need to be learnt on the job, since no university offer CEO lessons in undergraduate. In the book of The Facebook Effect, there is a chapter called “The CEO” with the subtitle “You should take CEO lessons. ” That was a vivid reflection of how a CEO like Mark has grown. I can tell you, it is not easy. People – the key element when you reached the certain level of maturity for the organization. Strategy – need a lot of help to get the data ready and presented in a kawayi way to make decisions. I didn’t remember that I bought the Facebook Effect book in Singapore, and I ordered it again from Amazon. Today, I found out the book, and started to read it – very interesting one. There are some similar scene with the Social Network movie, but in a much deeper way. Recommending people who are interested in technology and Internet to watch the movie, and read the book. Continuing with the discussion I had yesterday, the key to the Prisoner’s Dilemma is the round of the game. If there is only one round, it is obvious that everyone should simply choose X – since although you loose $1, it is better than being the only Y loosing $3. If there is 10 round, except the last round, for the other 9 rounds, cooperate and having Y seems a good idea. Although by theory, there is no difference, but most people only think one step future (like this game). If the game is running forever, or ending randomly, the best way to deal with it is always give Y. It is simply because, the others has the power to punish you if you choose to give X. This is an interesting output from the game theory. When I relate it to all kinds of religions, it matches each other perfectly. In either Buddhism, or Christian, the story is, your life does not end as you die. There are life after that. By helping people to imagine the game is not over after you die, they artificially increased the round of the game. If my game is endless, the best way for my OWN interest is to play nicely with others. What an amazing conclusion it is that selfish people in an iterated prisoner’s dilemma tends to end up as nice, retailing, and non-envious? That is maybe the cornerstone of how this human society works. I just finished the training of 7 habits of highly effective people of Right Management by facilitator Jessica Cao. To be short, it is a wonderful training and better than what I expected. The most impressive game in the training was the XY gambling game. That gives me the true strength about being friendly and doing the right thing, despite of other people’s behavior. Let me share the game with you. Every team can choose to bet X, or Y at their wish. If every team choose X, every team lose 1 dollar. If every team choose Y, every team get 1 dollar. If there are both team choosing X, and Y, every team with Y need to pay money to X. It is obvious, that X is a better option than Y, since by choosing X, you always have a better winning chance than Y, but the problem is, for the 4 teams as a whole, the only win-win situation is everyone chooses Y. The actual result was: our team continued to choose Y for 10 times – the crazy guys! and there is one team always choosing X, and other two teams turned from X to Y along the game. Interestingly enough, when the three Ys get the consensus that Y is the right thing for the group to do, they insist it, and the X also considered X is the best option for them to get money out of the pockets of other teams. Along the game, the facilitator changed doubled and even 20x of the winning/losing amount. The result was: one team (us) looses $38. Another team looses $36, and another $28. The X team won $102. It is obvious to everyone that by choosing X (especially when everyone’s choice is Y), you get the immediate reward (money), but only when you at the game, you can feel the tension between the 3 Y team and the X team, and the increase in trust level amount the three Y teams. As the game continues, it is more and more clear to everyone that if there is a second day, the three Y teams will choose to play together, and leaving the X team alone. Taking the goose and the golden egg example, X team is actually trading the future rewards for immediate return. People will choose to play with people they trust. That is how this society works. When you are not clear about what your players are, the safe bet is X (protective). Y is actually a friendly card. It shows to your partner that you are harmless, and you want to cooperate. That is vulnerable, but in real world, it often gets kind response. By believing taking the initiative of being friendly, and be the first (and promise to be the last one) doing good thing, that is investing to the future of one’s life, and is actually the smartest thing to do, although it is seen as foolish in the early days. Thanks Jessica for sharing the game. Metro Line #7 of Shanghai Metro opens for trail operation today. I don’t have a chance to take a ride today, but will surely try it tomorrow. It only opens from 9:00 AM to 4:30 PM. I don’t remember this is how many times that I read the book Built to Last. The first time I read it was still in the old Microsoft days. The last time I read it was among the time I was in deep passion for Fengshui, and these days, Xiaoliang falls in love with this book, thus I read this book again. Interestingly. 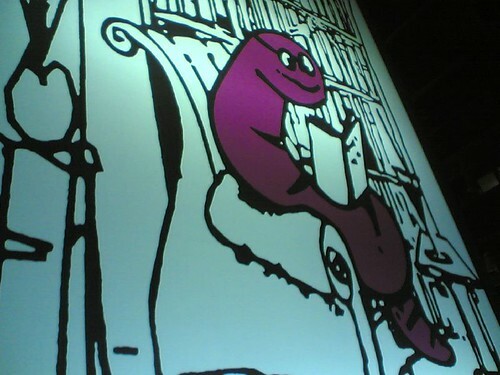 The book itself didn’t change, but the inspiration you got from it changed a lot. For a lot of things, if you are not in the position to think about it, you don’t understand it at all. My learning is: for good book, read it again and again is better than reading many so-so book. 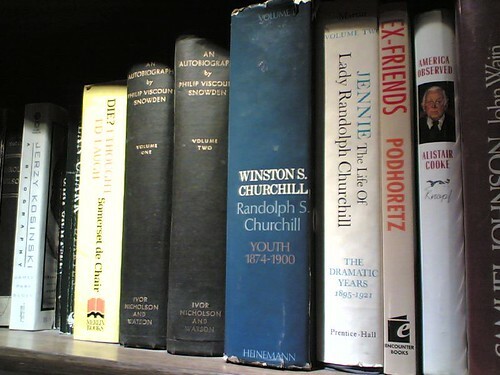 (Well, keep reading is just to find out great books out of so-so books). Recently read an article of Jeremy about What is the difference between a good product and a good company?. I like the way it describes the two different company. Below is my extension of the idea, not necessarily what Jeremy wrote in his blog. A company that create value but cannot make profit. The interesting type is the second type of company. One class is arbitrage. In China, there are so many arbitrage opportunities with fast development of everything, and there is opportunity everywhere. If you want, you can capture that opportunity easily. However, there is a nature end of life for these projects when the arbitrage opportunity closes. This echoes to what on the page 64 of Guy Kawasaki’s book Reality Check. Engineers often tend to build value but cannot realize its value. Sales can always see arbitrage opportunity but often fail to create value. They may end up with the two different type of companies. The idea case is a company that can get profit by creating value. Guy Kawasaki is absolutely about the view of a management consultant (Jack Welch’s word: good at giving options but hard to make decisions), investment banking (build the company for wall street, not customers), and accountant. I don’t like MBA either (my discussion about MBA). A Peek Inside My Travel Notebook, originally uploaded by yusheng. This is a very interesting notebook with nice travel tips. I am going to create a one page for every travel I am going to make. 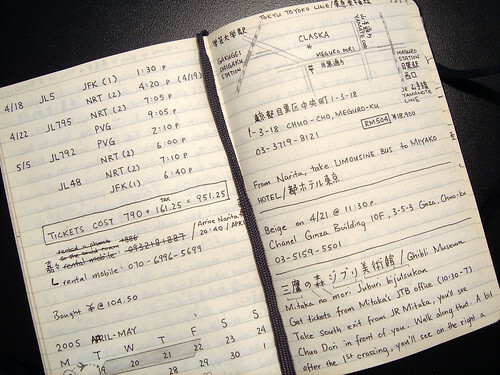 Moleskine helps people to get back to paper age. Internet and computer are still far less convenient than paper and pen, and becomes very successful as a company itself. The success is admirable. OK. I will start my travel page from page 200 of my Moleskine. When I dig into details of the Moleskine community, I found out it is as interesting, if not more, as the blogger community. They are even more creative. Especially people who travel. They use Moleskine as a blog (they keep journals), and even as a twitter. They share great tips – much better than many blog tip. Here is an example, and here. I hopelessly fall in love with Moleskine notebook in two days, and before I believe it, I becomes a Moleskine fan. Although Moleskine has many details of good design and good craftsmanship, it is the usage of Moleskine, and the Moleskine community that attracts me most. Look at these nice scratches on a Moleskine by those Moleskine owners! It is maybe like Flickr – not only the system, but also who uses it that makes flickr attractive. Today marks the official debut of my first book, The China Price: The True Cost of Chinese Competitive Advantage. The book is an insider’s account of the unintended consequences of the explosion in trade between China and America, an examination of the cost China has paid to produce goods for the world so cheaply. Two years in the making, The China Price touches on many of the issues in the headlines today: Chinese product safety, social unrest, and the future of Chinese competitive advantage. Chinese factories play such a big role in all of our lives, producing many of the consumer goods we buy. The China Price takes us inside these influential institutions and introduces us to their staff, their owners, and their customers – people we may never meet, but who have a direct impact on what we eat, wear, and use. Kirkus Reviews called The China Price "essential reading for anyone concerned about how dangerous pet food and clothing manufactured in China make it into American stores". CSR Asia’s Stephen Frost says the book has "exposed a largely hitherto unknown world via a forensic examination written in a crisp style usually reserved for good novels." Access Asia called it "excellent and highly recommended". The China Price, published by the Penguin Press, is now available in all major bookstores and online at Amazon.com, Barnes&Noble.com, Amazon.co.uk, and other retailers. An audio version from Tantor Audio is also available. Please support my book by picking up a copy and passing on this email to your friends and anyone you think might be interested. I will be in cities across the US in April to talk about the book, and will be appearing on radio and television as well, starting this week. For more details about the book, media and talks, please visit my websites: http://thechinaprice.org/ and http://thechinaprice.blogspot.com. I don’t really like to send emails to all my friends, so I am support Alexandra by posting a blog entry about her new book. I didn’t read the book yet (still waiting for Amazon to ship it for me), but I know Alexandra. She is a sweet girl who have lived in Japan, Mainland China and now in Hong Kong (of cause, in the States). Writing for a Magzine? Oh! No! Thanks! I accepted friend’s friend’s invitation to write an article for a magazine. The topic is about my hometown Luoyang. I accepted the request and today is the due date. I have to think hard to write the article, and deliver it as I promised. I did for several time to write for newspaper, and for magazines. Every time, it started with an easy “OK”, and ended with a hard time. Currently, I am still the so-called columnist for many websites and some newspaper, but the agreement was: copy any articles on my Chinese blog and use it as you wish, but please don’t let me know or ask for any specific topic, since I know I cannot deliver. OK. This is the last time, and I hope in the future, I don’t accept something additional like this – something with a deadline, but the delivery of it really depends on my mood – like writing articles. Enough for today’s blog. I will take the time to write the article and send it tonight. I like Rob Gifford’s book China Road very much. It is very interesting to read, and offers a great angle to analyze the real problems and hopes of China. Let me tell you why I love this book. The idea behind the book is to take a journey along the China State Road No. 312 from Shanghai to north-west border of China. This idea itself is attractive. What is road 312, or G312 (G means Guo or State)? It is a road starting from Shanghai, cross the mainland of China, and travels along many provinces like Anhui, Henan, Shaanxi, Gansu, Xinjiang… It is something like the mother road Route 66 in the United States. It is a long road. It is 4825 km long, and the diversity in both natural and social scene is huge enough for anyone who are willing to understand more about China. The idea is appealing to me as well. Maybe one day I should also take the trip of G312 to know China – I never claim I know China. I only know part of it, and I, myself, was often shocked by some facts I found out about China. In this sense, Rob knows China much better than I do. During the trip, Rob didn’t just completed the trip – he explored deep inside. He visited places normal people live and normal travelers don’t go. He talks with people who are saying something very familiar to me. He visited “dangerous” and “sensitive” places like Shangcai (I didn’t make typo here. It is letter “c”, not “h”) in Henan Province, the AIDS village under the pressure of the local police… The trip was amazing, and I pleasantly followed his article to travel with him. It is definitely not just a travelogue. It is a book full of his thought, not just observation. Let me just mention few of them. In Shanghai, Rob noticed the difference of two party members. One still believe Communism is the future, while the other (I am like her) don’t believe it. I laughed since it is common discussion I heard in my daily life. Like in Xi’an, he thought about the question why China don’t have its own Runnymede or Magna Carta. He thought it was rooted to the unification of the country in 221 B.C. when Qin (Chin) unified the whole country, by force. (I didn’t repeat the whole story, but I think you can find out more). China’s history has only ever been about uniting and then collapsing, reuniting and then being invaded, overthrow, collapse, reuniting and collapsing again. Why should the future be any different? I appreciate Rob’s thoughts, and his effort to report what China is today, and try to predict (although it is one of the hardest thing to do in the world) its future. The thought and deep sympathy are very rare in the books I read most of the time. What about the China’s future? This is a serious question. There are given answers that most people in this country can recite and even written in the constitute. However, I don’t believe in. People should think about this question seriously (despite it is highly encouraged by the government that not to think about it at all). 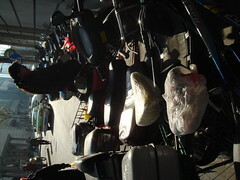 These are some random pictures from (winter) Shanghai. 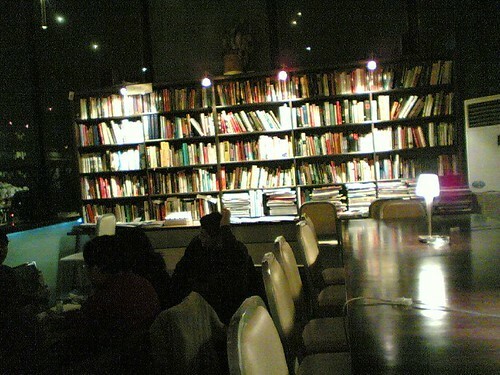 At night, I went to a bar (what they call themself as a library, but I expected to go to a bar or tea house), called Bookworm in Sanlitun area in Beijing. 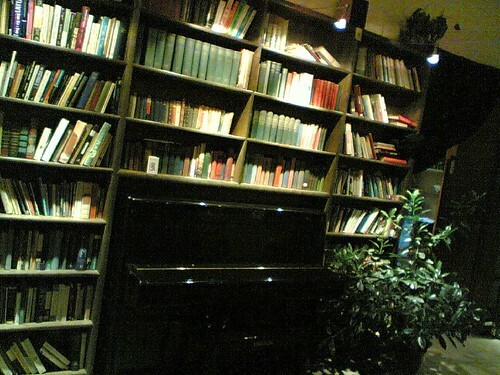 It is a nice place to spend an free afternoon or night there. 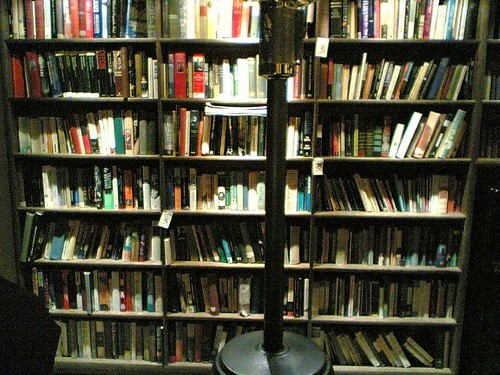 There are many books (16,000 as described in the store card) inside the library. 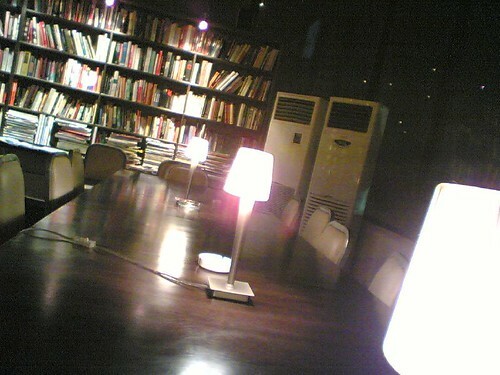 Most of them are English books and magazines that you can borrow or read inside the library. It is much better beyond my expectation. The foods and drinks are not expensive. Typical coffee and tea are 15 RMB per cup, which is not bad. 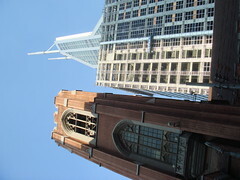 Here are some pictures taken with my Nokia 6670. Thanks for Wei and Wang Yi (from ChinaBBS) to bring me there. There are many small gathering happened there. I was so surprise to meet my friend Jocelyn from Market Place program of National Public Radio and many of her friends. Nice night. Haisong gave me a book – Blink : The Power of Thinking Without Thinking. 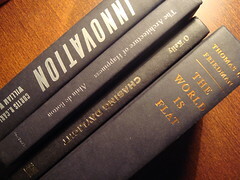 It is from Malcolm Gladwell, the same author of the Tipping Point. It is a nice book of getting information in the first 2 seconds. I was so amazed that someone can record the video of a couple and decode the behaviors into a 1800 line of codes, and analyze it. That is the major difference between western culture (quatitive thinking) and the eastern culture (qualitive thinking). Recently, I consistently amazed by the difference people in China think and the way people in U.S. think. China is a sociaty driven by “business instinct” instead of data. Some companies are moving that way, hoping to be successful, but I don’t see many successful cases yet. 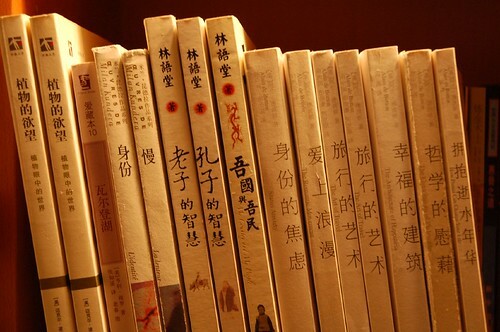 The majority are still using the old Chinese ways of thinking. I believe there must be equality nice wisdom within the Chinese culture, and we must learn it in a way people in China learn it. To survive in this market, we need to be very good at “Chinese thinking”. The sad thing is, many people think “Chinese thinking” is bad, which I don’t think near the truth. If the majority of the decision makers make decision using “blink”, do is still make sense to make decision only based on data? It is an old story – Willing to pay the price from the famous book Chicken Soup. The part how Le and his wife spent money inspired me a lot. Here is the original story. Even with a weekly income of $300, they decided to continue to live in the back room. They kept clean by taking sponge baths for two years in the mall’s restrooms. For two years their diet consisted almost entirely of bakery goods. Each year, for two years, they lived on a total, that’s right, a total of $600, saving $30,000 for the down payment.